Sneakers are a staple in my outfits now and these converse slip ons are the best. Having a baby in my arms and trying to bend over to tie my shoes, it’s no good. So I have figured out ways to incorporate outfits around flats and slip on sneakers. If you would have told me last year that I would be wearing backpacks and sneakers and not wearing heels and dresses every day, I probably would have laughed at you. It is true that style changes with life events and Wesley for sure is a life event! I sure do love being able to be comfortable though, while chasing him around the house, telling him, “Don’t climb on that, don’t put your fingers in there and don’t pull on the dog’s ears!” (poor Chloe). 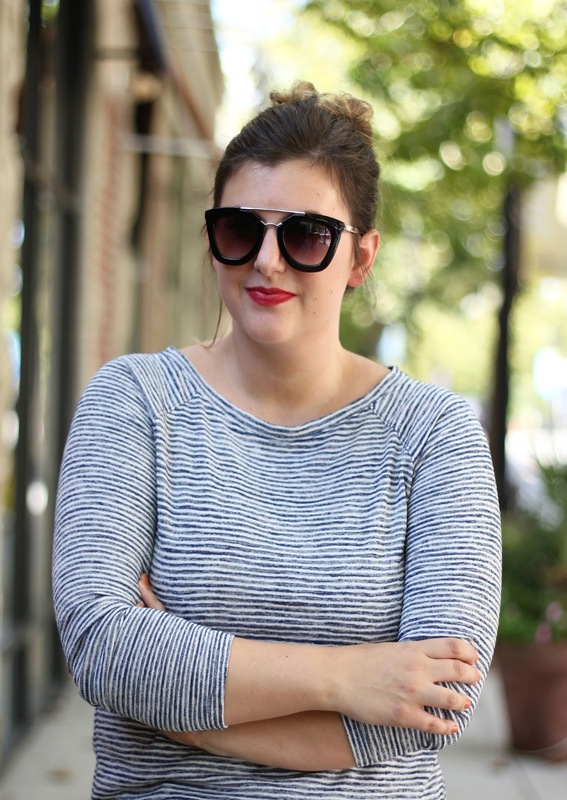 This is such a great comfy go-to outfit — and I LOVE your sunnies! Right, they are such a great price also. I love splurging on things but I also love a good dupe! Yes, you can never go wrong with a good pair of denim shorts. If you are like me, I bet you wear them all the time. I like your pretty sunglasses ! Comfort is always a good idea. Sounds like the perfect shoe for you. Yes they are. Now I can't lie, I still like to pull the impractical shoes out every once and a while also. perfect summer shorts! cute look! You look super cute and comfort is key, indeed. Yes agree and thanks, you are so sweet!